Moving is never easy, to begin with. A lot of things should be considered. Plenty of adjustments are to be done as well. Most especially, when you’re moving from a big house to a smaller one. And there may be some stuff that you still want but just doesn’t fit into your new home. But worry not! Residential self storage Ermington is the best solution in this matter. It is very reliable in keeping your things safe and secure. 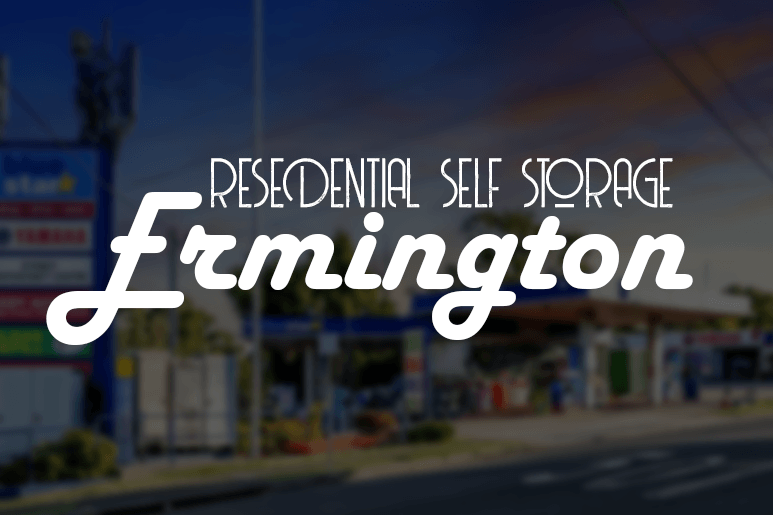 Residential self storage Ermington is very convenient nowadays. If you’re selling your house and it needs to be clean, short term self storage is right for you. A house sells faster when buyers can see the space. In this way, they can visualise their own things in the house. Anyway, you can have your stuff back anytime you want no matter how short the duration of the storage time is. Furthermore, this will greatly help whenever the agent suggests to take out some things. Nowadays, storage facilities allow unlimited access to your stuff. Therefore, you can check your things anytime. In this article, we will give you some good reasons on renting residential self storage. Do you have an important thing that needs to be secured? You can count on renting residential secure self storage Ermington. Each facility has their own security. Most common security features are 24/7 cctv monitoring, fire protection, door alarms, guards and many more. Having these kinds of security feature will give you peace of mind. Additionally, most storage facilities nowadays offer storage insurance. It is not ideal to renovate your house while your furniture is present. Renovators might damage it while the work is ongoing. So, in order to avoid damaging your furniture, it is best to rent self storage unit. A divorce or death of a family member is painful. Dealing this unexpected problem may stress you. For the things that were left under your care, you may consider storage rental. If it hurts you to keep it but doesn’t want to sell it, why not just store it? In this way, you can get access to it anytime you want. Renting residential self storage Ermington is just within your reach. You don’t have to worry about the delivery. Macy’s Mobile Self Storage will bring the solution to you. The modules will be delivered to your doorstep. Everyone loves celebrating holidays. We love decorating our homes to commemorate special events. On the other hand, decorations are only used in a short period of time every year. And keeping it will take space of your house especially you have so many things at home already. One way to keep this decoration in good condition is to consider renting self storage. In this way, you can save more space at home. Worry not about the rodents and other pests, storage facilities have highly secured pest-free storage warehouses. Many households clean their home very often. While cleaning, you might see some things that need to be thrown away. However, there really are some items that you may just want to keep. Not just because it is still functional and can still be used in the future. But they carry memories with them so no matter how rubbish they may appear to you, they’re still worth keeping. In such cases, residential self storage Ermington is the best solution. You can organise your things more properly and efficiently. You can effectively sort out rubbish from fully functional things by keeping some old stuff away. This way you can keep your items and at the same time, you may clean your home from extra clutter. Self storage unit can keep your items safe and secure for short or long periods of time. Is self storage expensive? How much does it cost? These are some of the common questions when you plan to rent a self-storage. You have nothing to worry. Self storage is cheap, and it is a better option on making space than buying a bigger house. There are a lot of self storage out there, so finding a cheap storage is not hard. Self storage offers you cheap extra space and its flexibility allows you the alternative to vacating easily when you are no longer in need. For the most part, renting residential self storage is indeed a good idea. And to sum it all up, no matter what your reason is in storing your things, residential self storage Ermington can give you a helping hand. On the other hand, it is cheaper and wiser to choose Macy’s Mobile Self Storage. They do not only bring the solution to you, but at Macy’s, they guarantee you to provide the best service whilst being the cheapest in town. So, choose to store instead of letting on the issue of space at home. Call us or get a free quote today and make residential self storage Ermington be of help to your storing needs. Read also how our super cheap self storage perfectly fits in your tight budget. This entry was posted in Storage and tagged secure self storage, self storage, self storage facility, short term storage.